How To Stay Warm Playing Baseball during the cold months? All sporting activities have been greatly organized in such a manner that there exist rules pertaining to uniform and dressing for games. Of course, baseball also has its uniform, although it has changed significantly over the years. Years back, teams were often distinguished primarily by the color of their stockings. However, things have changed a lot these days with the official rules requiring that all players in a team wear matching uniforms. Despite the rules set, players are obliged to protect themselves from cold as much as they can without breaking any dressing rule. It is worthy to recall the fact that April is cold in most baseball cities here in the USA. One of the most recommended cold weather baseball essentials is a long sleeve undershirt. Of Course, I am not referring to just any regular long sleeve as only the thicker ones will do the trick. 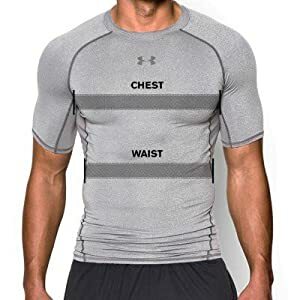 As a matter of fact, there are specially designed undershirts with a fleece type layer that touches the skin thereby giving the extra warmth to players. However, there could be improvised alternatives for players who are not so comfortable wearing the thick undershirts. The truth is that some players complain of being uncomfortable in the thick and heavy undershirts. That, therefore, explains why some baseball players prefer wearing two thin long sleeve shirts to keep them warm. Besides, with the two thin shirts, the players are likely to not feel restricted by a bulky undershirt. Nevertheless, some of the best and most recommended long sleeves for baseball are Hyperwarm by Nike as well as Under Armour’s Cold Gear. 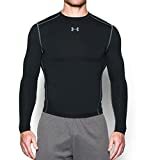 We choose the Under Armour Men’s ColdGear Armour Compression Crew. I bought this for my son and he absolutely loved it. The winter’s in Utah can be tough especially when it can be snowing in the middle of your game in April. It is no news that one of the best ways to protect oneself from cold is by wearing warm leggings underneath one’s uniform. Of course, there are also specially designed warm leggings for baseball players. These leggings come in either compression or fitted. However, many players tend to prefer the compression leggings because the compression part of the legging protects them from an injury. Remember that the last thing any player needs is an injury. More so, it should be mentioned that not all the players play every day as with all games. Some players are reserves who are required to sit in the dugout and wait for their turn to play. If the weather is cold, it will be very easy for their muscles to get tight and could even result in muscle cramps that could ruin their chances of a great performance on game day. Besides, the weather could also drop suddenly for the cold wind to pick up. Thus, these players need a warm legging to protect themselves. That said, the warm leggings are not expected to be visible and that explains why they should be worn under the baseball pants and socks. There are, however affordable, quality warm leggings out there, so you just need to check out what works for you. 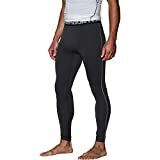 But of course, the moisture wicking, light but warm, and anti-odor leggings are highly recommended for baseball players. And for this we have gone with the Under Armour Men’s ColdGear Armour Compression Leggings. Baseball players also need cold weather batting gloves to protect themselves on cold and windy days as they play. These batting gloves nevertheless look like the regular ones even though they come with some features that gives comfort and protects players. 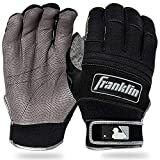 For instance, the baseball gloves are not only a little bit thicker than regular battle gloves, but they also have a neoprene back that keeps them warm. Remember that having cold hands when you are at the plate is one of the worst feelings ever and you can be assured you will not serve well. Therefore, you need warm gloves, especially if it’s an April game in cold locations such as Colorado. Hat liners are generally highly recommended for athletes for protection. Remember that staying warm on your head during a baseball match can make a lot of difference in your performance. Thus, one of the easiest ways to stay warm when playing in a cold weather is to put on hat liners or stretch caps. 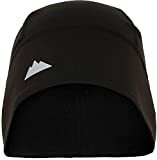 Hat liners are, however, mostly recommended to players who are not blessed with full hair or are suffering from hair loss. Of course, the natural hair serves as protection and so if we lack it, we must device other means such as using hat liners or stretch caps for our maximum protection. You can easily obtain good quality hat liners from companies such as Under Armour or even in biking gear companies. So, you should consider giving hat liners a try if you are not yet using them. HUGE SALE - Spread the cheer with our LIMITED-TIME HUGE SKULL CAP SALE. Take advantage before prices go up! READY FOR DUTY: Wear our skull cap on its own or under your helmet. Wear it as you ride, snowboard or ski. Wear it as you run, work out or play football. Heck, wear it as you're doing laundry. It's so lightweight and comfortable you'll forget you're wearing it. Like you, this skull cap helmet liner is ready for duty. ONE SIZE FITS ALL NOGGINS: With our 89% polyester 11% spandex blend, our skull cap beanie will fit comfortably, even if you have an Einstein-sized noggin. Perfect for both men and women. Even though this might seem funny to some people, rest assured it helps a lot. I’m sure you all know a dickey is a type of false shirt line which is very much detachable. Well, by investing in dickeys, you can be sure to protect yourself, notably your neck during a baseball game in a cold weather. As a matter of fact, a dickey should be a must when it comes to protecting from cold. However, it is imperative for you to know that you can’t wear the dickey with another warm turtleneck undershirt because you might end up feeling excessive heat. But of course, you can get one or two dickeys and get them customized with your team’s logo. Using a dickey during a game is quite good because you can easily regulate your temperature once you start feeling excessive heat. You simply need to pull it over your head and move on. WHEN YOU WANT A LITTLE MORE WARMTH - A turtleneck dickie is the perfect way to combat a cold office instead of a scarf. 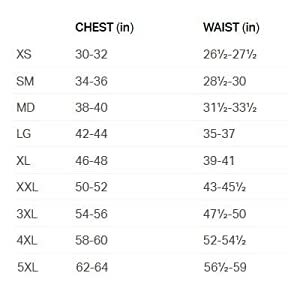 ELIMINATE BULKY BASE LAYERS - Get the look and feel of a turtleneck undershirt without the bulk. PROVIDES A BIT OF MODESTY - Perfect to wear with your favorite low cut tops when you need a bit more coverage. SET INCLUDES FOUR COLORS - Choose from three assortments shown in the choices below. EASY CARE - Made of 100% acrylic; machine wash and dry. Contrary to what many people think, sunglasses are not only to protect eyes from the sun. They can actually also protect the eyes from cold winds. It is no longer news that the season, spring, usually comes along with cold winds. And of course, we all know that cold winds are not good for the eyes. Therefore, one of the best ways to prevent cold winds from entering the eyes during a baseball game is to put on sunglasses. Recall that sunglasses come in so many different shades some of which are for bright lights whereas others are ideal for cloudy weather. So you just need to try on different lenses and pick the one that is a perfect fit with your eyes. But of course, you need to practice playing with sunglasses before entering the baseball field. You can’t just move in on the day of the match and start playing with your sunglasses on as your performance could be terribly ruined due to the fact that you failed to practice. This is an athletic inspired frame that was designed for purpose and style. Hand warmers are also highly recommended to baseball players for cold protection. 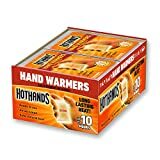 Hand warmers are more or less small packets that are held in hand and produce heat on demand to warm hands during a cold weather. It is apparent that when places get too cold, it becomes extremely difficult to throw the baseball and of course, this could result in fatal errors. Besides, once your hands start freezing, there are chances that you will experience cold in the rest of your body. Therefore, as a baseball player, you should invest in hand warmers. 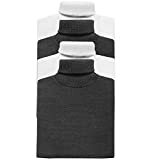 Hand warmers will not only make you feel warm on a cold game day, but they will also make you play better. Above all, you must never neglect your feet. Therefore, when choosing your cleats for baseball, you must not concentrate only on how durable they are. Rather, you also need to check if the cleats can give you enough room to insert a couple of Wool Felt Insoles to protect your feet from frostbite, super cozy insoles to warm your feet especially if you will be playing under cold weather. Remember that even though the feet seem to be strong, they are also very delicate. You don’t want to experience the symptoms that are associated with cold feet. Besides, too much exposure to cold may result in other health complications in your feet. 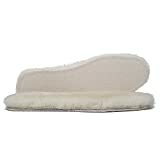 Therefore, you need to ensure that your Insoles can give you enough warmth. However, you may also need a pair of thick socks if you realize that your Wool Felt Insoles does not give you the level of warmth you expect. Well, trying to invest in some of these items listed above will only help you to perform according to your full potential. It is evident that some people have ended their careers untimely as a result of their unwillingness to protect themselves as they should. And of course, aside from getting the right essentials for a cold weather baseball game, it is equally important to master some of the tips of playing in cold weather. Hopefully, this information will be helpful so you can better prepare yourself when playing baseball on cold weather days. 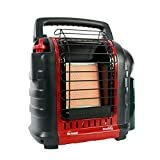 A couple extra Items that can help keep you and your teammates warm.